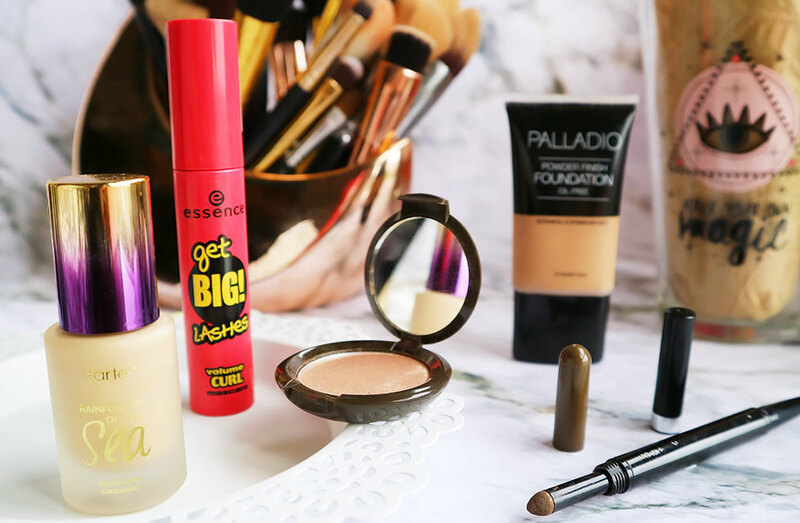 The new week has officially begun and there is nothing more exciting than picking out my makeup selections for the week (if you are thinking right now that this girl needs to get out more often, I probably do). I have been in a makeup rut recently, using the same old products and doing the same looks; I have to switch it up. Thus, I have made a resolution to rotate my makeup collection and to give each product its moment of glory (I did pay a chunk of money for them, after all). 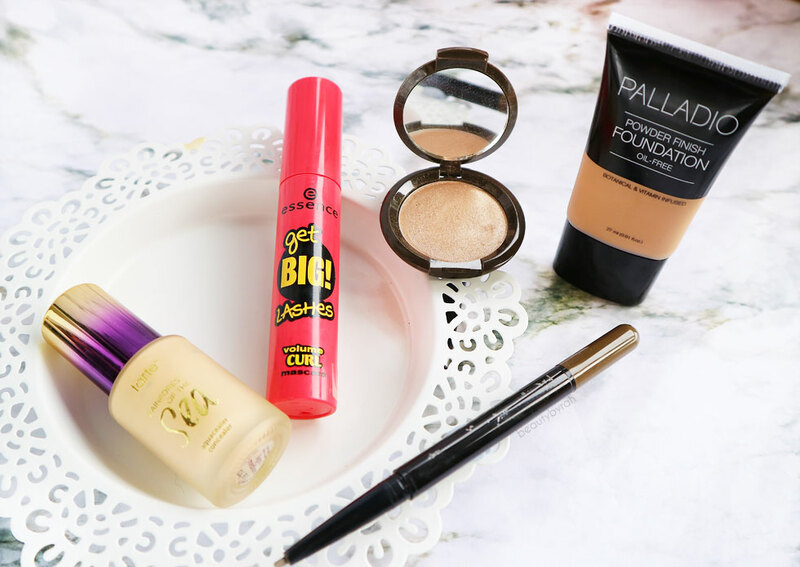 Without further ado, here are my makeup selections for this week! Incorporating the new, the old and the sadly forgotten. I purchased this off the Tarte's main website when they had a 30% off site wide discount recently. The amount of joy I had when I realised that they ship to Singapore! Everyone is currently raving about the Shape Tape concealer, and since that was out of stock online, I figured why not try this out instead as it was below SGD 30 after the discount. Verdict? I. Love. It. In fact, I have not used another concealer in the past few weeks since Christmas and I am still going to stick to this until I find something better. This concealer is really light weight (think Maybelline Age Rewind, as it has very similar watery textures) and it blends really nicely. My crinkly undereyes look fantastic with this on, and there is really nothing to complain about. My favourite way of applying it would be to use my fingers and tap it in. I found that this provided better coverage and less creasing as compared to if I had used my beauty blender or a brush. Do pick this up if you get a chance! I am in the shade light medium and it works great for concealing and providing a slight highlight to the undereyes (for reference, I am NC 25 in skin tone). This retails for SGD 40 and can be found on Tarte's Website. This was an impulse purchase of mine while browsing the aisles of Guardian, but considering my intense love for their waterproof formulation (the one in the blue tube which I constantly rave about), I decided to give this a shot. This is said to provide a curling effect for maximum volume and extremely thick lashes. The brush is a natural bristled brush of a pretty large size, that is slightly curved to help provide the curling effect to the lashes. Personally, I am not a fan of curled mascara wands as I struggle with them, but for those with longer lashes, they probably would work much better. The formulation isn't too wet nor dry, and I do like how it is very black - enabling it to add quite a significant amount of definition to the eyes. It does lengthen my lashes slightly and add a good amount of volume, but it does not hold the curl for me as my lashes are just plain ol' straight. Overall, not too bad a mascara and I would use this on the daily, but not for events and dates when I want to flutter those lashes. This only set me back SGD 4.50, you guys. You can get it from local Guardians or here. Recently, I've developed an inclination towards more natural brows instead of super clean and sharp brows that are seen on Instagram. Thus, I put away my Dipbrow Pomade and started using this instead. This has a brow pencil at one end, and it comes with a brow powder that will be dispensed via a cushion applicator as well. Super handy, and this makes my life in the mornings a whole lot easier. The pencil glides onto the skin and brow area really nicely and it is extremely forgiving as it is not extremely pigmented but still adds a good amount of definition. I like how it helps to add shape and definition to the brows, without going too dark too quickly. After adding some hair like strokes and lining out the shape, I like to use a little brow powder to help set it and to add more fullness to the brows. This goes for SGD 14.90 at local drugstores. Towards the end of 2016, I realised that my foundation collection is a tad overwhelming and I felt slightly sad when I realised that I probably would not ever finish them before they go bad. Thus, I have made it my mission to rotate constantly and give each of my foundations some love. This Palladio Powder Finish foundation is something I do not reach for constantly (as I usually forget that I own it) but it truly deserves a mention. I wear mine in the shade Honey and it is a prefect match to my neck. This foundation is slightly thick in consistency, but I have no issues blending it out with my beauty sponges. I would say the coverage is medium with one application and can be built up to a medium-full on areas that you would like to build up on. After giving it time to set, it does not feel tacky and I do think powder finish is appropriate here. However, as I am oily, I still do set it with a thin layer of powder to help its longevity. I believe this retails for SGD 15.90 at Guardian, but I can't seem to find it off the Guardian website, so do check out the stores! 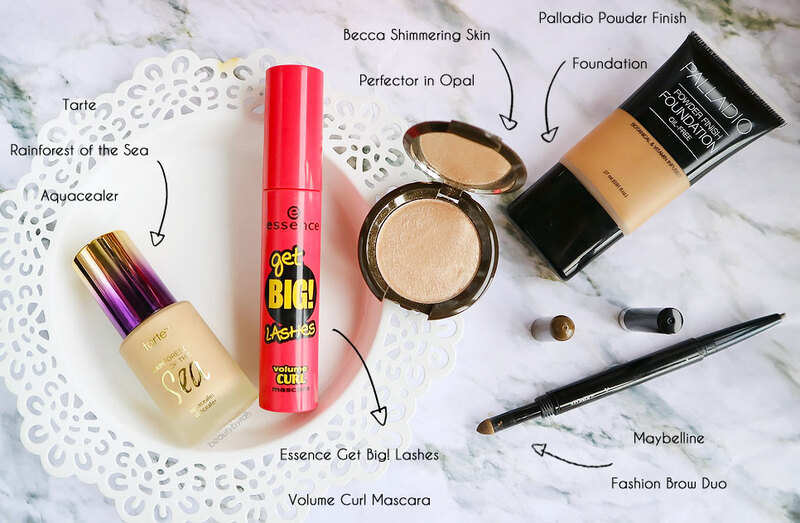 Becca highlighters require no introduction. During the Sephora 20% off sale recently, I purchased the Opal Glow On The Go highlighting kit that comes with a deluxe sized Opal powder highlight and shimmering skin perfector. As Becca does really pigmented highlighters, I do like the travel size compacts more as I personally do not think I would be able to hit pan on the normal sized ones. But that is just me. Opal is a beautiful champagne shade that looks lovely atop the cheekbones. The warm tones in this highlighter compliments my skin tone and it does not look ashy on me (my new fear, after I realised that white pearly highlighters look really stark and just not attractive on me). I like that this is not glittery too, as I am steering clear of glittery highlights. I got the set for SGD 34 off Sephora.sg! Did you see any of your favourites? 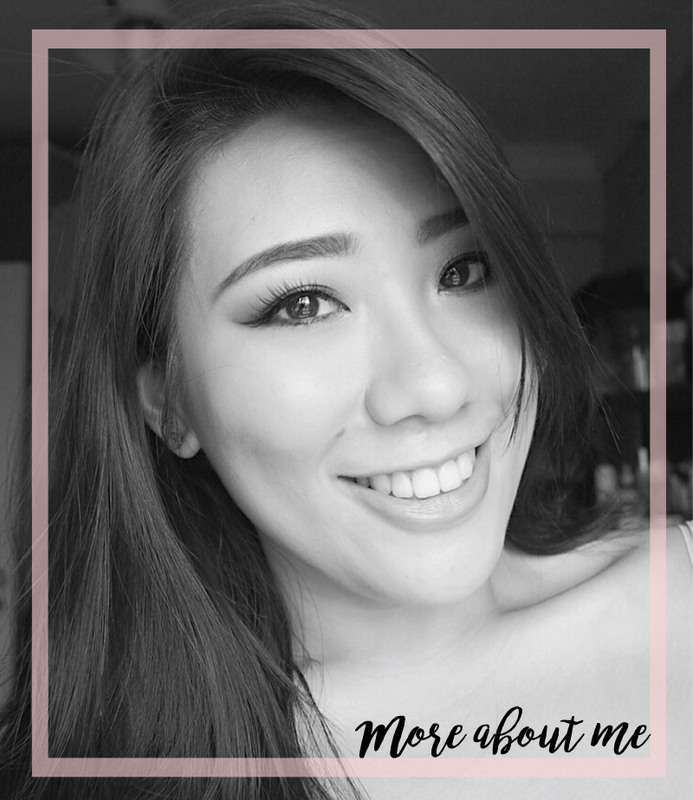 Hopefully this post helped to inspire you to rummage through your makeup collection as well! Products with * were gifted to me via PR.